Hey! 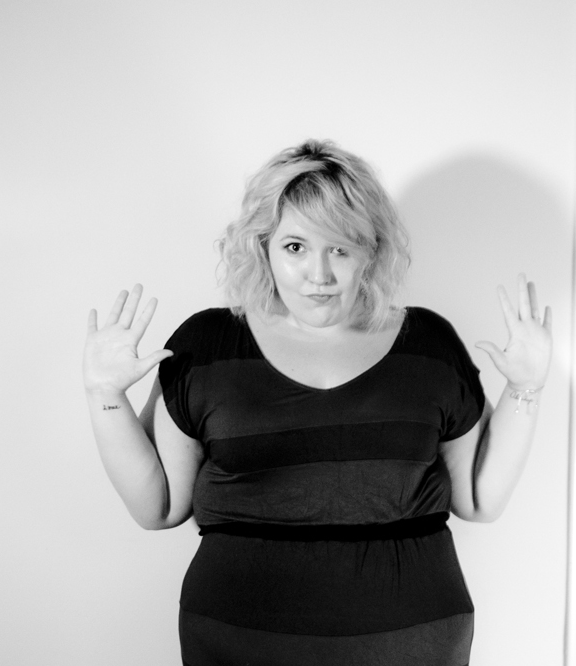 I’m Meghan Tonjes, a musician, podcaster, Youtuber and body-positive badass! My Youtube channel(s) have over 300k combined subscribers and around 33 million views, while my weekly podcast, Adventures in Roommating, currently has over two million listens. Fall 2008 - Founded Project Lifesize, a body positive collaboration channel with a mission to engage and provoke thoughtful and honest conversations about bodies and self-confidence. Ended in 2012. January 2011 - Guest on The Ellen Degeneres Show to discuss bullying and the “It Get’s Better” initiative. Performed live cover and returned to meet Adele. March 2011 - One of 25 video creators given a $35k grant to help fund future video production, attended 4-day Youtube Creator Camp in New York City for personalized training and mentoring to build brand and improve quality of content. August 2012 - Toured with Ron Pope. April 2013 - Ford Fiesta Agent. Ford provided a 2014 Fiesta for 6 months (including gas + insurance) to 100 online influencers. Each month creators created buzz around the Ford Fiesta by taking on challenges (“missions”) and documenting the experience in dedicated videos. May 2014 - Sparked criticism and garnered support when a photo of mine was falsely flagged and removed by Instagram. Instagram soon apologized for removing the image, but not before the #bootyrevolution began and the story went viral, being featured on national news outlets (CBS, Upworthy, Huffington Post and The Today Show). Currently, I reside in Los Angeles, California. I travel, tour, write music, do public speaking events and create weekly independent and branded content. Want to see/hear/know more? Adventures In Roommating / We're A Couple...of friends. Co-host, Keith Battista.